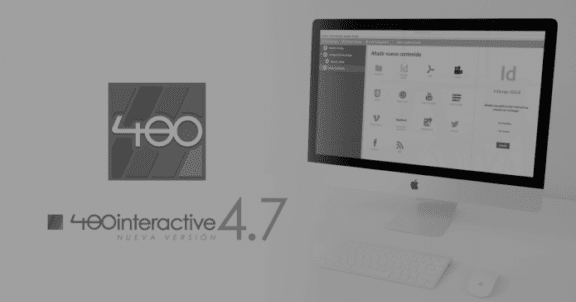 The principal innovation of the 4.7 version of 480interactive is the possibility of publishing applications with the necessary number of contents, without the limitations that have existed up to now. In addition, it allows you to add plugins to send notifications to users, obtaining app statistics or giving access to exclusive content to your users in an easy and quick manner. With 480interactive, creating app projects and previewing them on mobile devices is free. When the application is ready to be published in App Store and Google Play, you have to activate the payment option “Publish my App“, which is now flexible and whose price is calculated depending on the number of content and plugins that are added to the application. All these innovations are accompanied by a more intuitive design, utility improvements and a new section of free templates that the user can use as source of inspiration and customize to their tastes to turn it into a real application. 3.It can be previewed on a mobile device with the free application 480i Viewer. Applications like ClinicApp (a bookshop of clinical cases in app format created by the Spanish Society of Cardiology), Bizkaia en tres dimensiones (interactive application of the Basque Museum), Donostia Aste Nagusia (the app of the Semana Grande of San Sebastian event) or ED Revista (magazine in app format of the Trade Union of Nursing – SATSE – and the Foundation for the Development of the Nursing – FUDEN-) are just some examples of apps created with this tool.